The Bermuda-based Royal Hamilton Amateur Dinghy Club announced the death March 24 of past commodore Geoffrey (Dickie) Bird. "It is an especially poignant note during a Marion Bermuda race year as Dickie was one of the founders of the race," club commodore Robert Mason stated. "He remained actively connected with the race throughout his life both as a participant, as [club] commodore and as a trustee of the race organization. Arguably without the vision of Dickie and a few others, the race would have never been started and Bermuda would be the lesser for it." 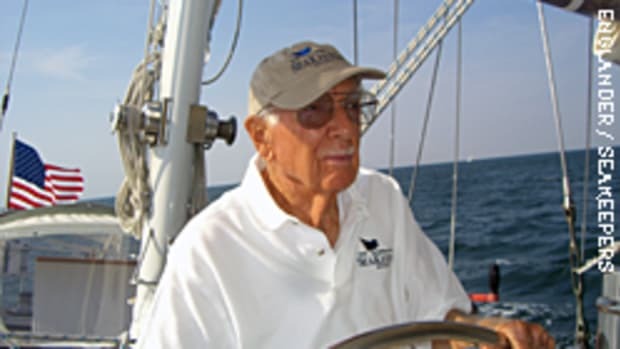 Bird&apos;s ashes will be scattered in the Great Sound and a celebration of his life will take place at 11 a.m. June 25 at the Cathedral of the Most Holy Trinity on Church Street in Hamilton, Bermuda, during Marion Bermuda Race week.